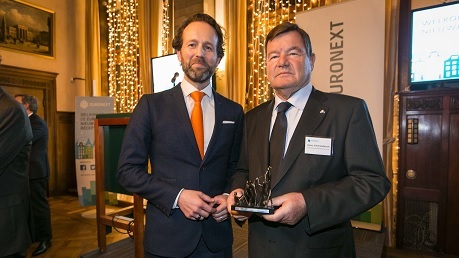 Dr. Heinz Schimmelbusch, CEO at AMG, accepted the All-round Best Performer Award for 2017. 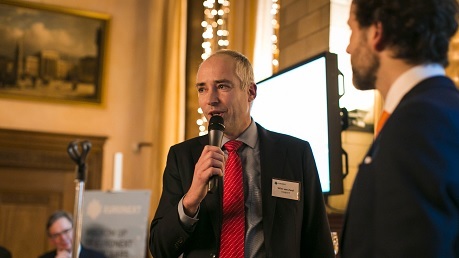 Wim van Zwol, Head of Institutional Sales, Northern European Institutions at VAM, accepted the Best Performer ETF Award for 2017. Steven Maijoor has been the Chair of the European Securities and Markets Authority (ESMA) since taking up office 1 April 2011. He is the first chair of the authority and is currently serving his second five-year term. He is responsible for representing the Authority as well as chairing ESMA’s Board of Supervisors and the Management Board. The role of the Board of Supervisors is to give strategic guidance to ESMA and make all main regulatory and supervisory decisions. The Management Board's purpose is to ensure that the Authority carries out its mission and performs its tasks. ESMA is an independent EU Authority that contributes to safeguarding the stability of the European Union's financial system by enhancing the protection of investors and promoting stable and orderly financial markets.